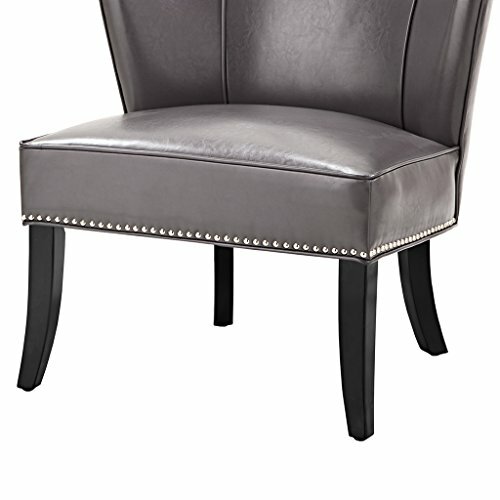 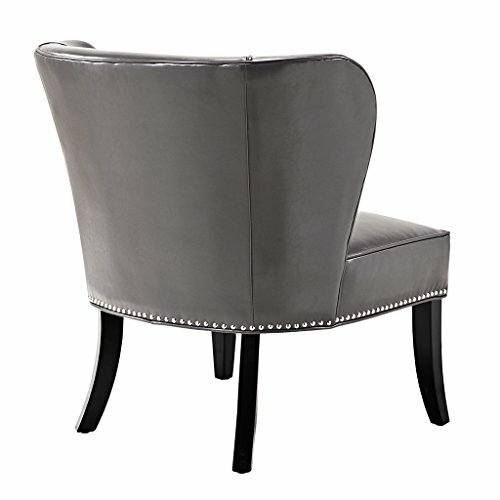 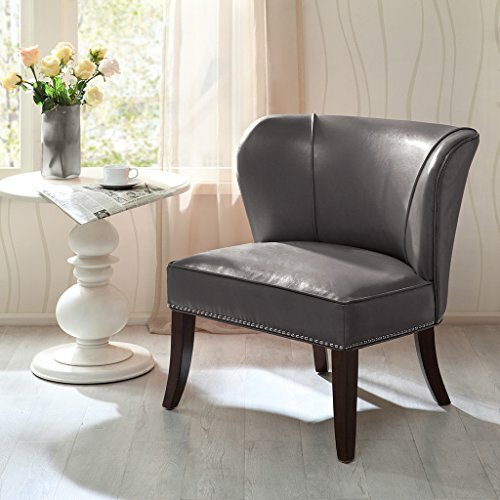 This concave armless chair featuring a crisp look of gray faux leather, and individual nail head detailing definitely makes a stylish contemporary statement. 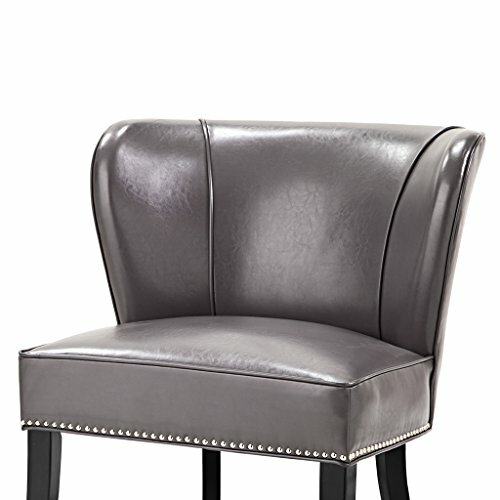 Leg assembly required. Set Include:1 Chair:30.75"W x 28.75"D x 33.25"H Seat:27"W x 20"D x 19.5"H Weight Capacity:250lbs Leg Height - Top to Bottom:11.50"